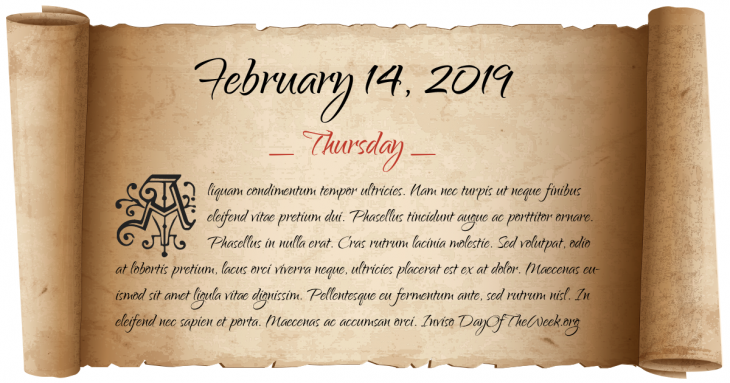 What Day Of The Week Was February 14? World War II: Tunisia Campaign – General Hans-Jurgen von Arnim’s Fifth Panzer Army launches a concerted attack against Allied positions in Tunisia. Iranian leader Ruhollah Khomeini issues a fatwa encouraging Muslims to kill the author of The Satanic Verses, Salman Rushdie. New Year’s Day in Chinese calendar. Start of the year of the Metal Tiger in Chinese astrology. Who were born on February 14?